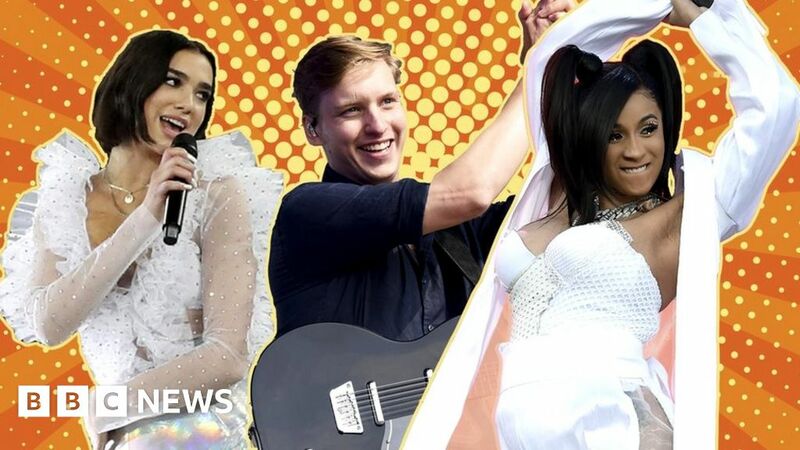 HomeEntertainmentDua Lipa, George Ezra, Cardi B – who’s made the song of the summer? Dua Lipa, George Ezra, Cardi B – who’s made the song of the summer? Music sounds better in the sunshine. There’s no scientific evidence for that, but it’s a fact. And with the UK in the middle of a heatwave, it’s time to indulge in one of music’s purest pleasures – the summer song. Whether it’s frothy and euphoric or laid-back and relaxed, every year produces one song that defines the season. Last year, it was Luis Fonsi’s Despacito. The year before it was Drake’s One Dance. But who will take the crown in 2018? We asked some of BBC Music’s experts to select the song that’s soundtracking their barbecues, pool parties and road trips. Lauren Brennan, music producer at BBC 6 Music: Detroit-born/Houston-raised Melissa Viviane Jefferson, AKA Lizzo, recently dropped this sassy new banger that’s been funking up the 6 Music playlist. That she shares a first name with Missy Elliott comes as no surprise – she rivals the rap icon for attitude and energy. Newly signed to Atlantic, expect new music across this year. Sarah Beaumont, co-music lead, BBC 1Xtra: This Latin and Caribbean infused track has a well-known sample, which gives it an instant sense of familiarity. 2018 really has been Cardi B’s year and she’s teamed up with two of reggaeton’s biggest stars, making this a sure-fire summer hit. As soon as I hear this I’m transported to the beach with a cocktail in hand! Kevin Geoghegan, BBC Music News Live: Anyone who can’t find it in themselves to even do the tiniest desk shimmy to this song is dead inside. There are some (reasonable) complaints that Chaka doesn’t feature heavily enough in the track but her small but perfectly-formed contributions are unmistakable. Annabel Rackham, BBC Entertainment reporter: You can’t go wrong when you combine the current biggest female pop act with one of the world’s most successful DJs. The nostalgic, washed-out vibe is reminiscent of 90s dance music, but it also has the commercial appeal, which means it can be played everywhere. Combine that with the eight weeks it spent at number one and you’ve got a solid case for it being song of the summer. Jimmy Blake, Music reporter, Newsbeat: Some people initially weren’t on board with Alex Turner taking up piano for their sixth album – but a hearty Scottish sing-a-long of this track at the Monkeys’ set at last week’s TRNSMT festival suggests fans have accepted the gear shift. The track might not scream “Pimms o’clock in a beer garden” but, for some of us, it will forever soundtrack summer memories of the Arctics crooning their way back to headliner status after five years away. Paul Glynn, BBC Music News Live: OK, this song is ultimately about “a dismal day” but it’s testament to the power of a sunny day – as the Aussie slacker shakes herself out of a depressed funk by enjoying the simple pleasures of a stroll around Melbourne. The killer distorted riffs will aid your summer’s drive, while the cool breakdown at the end allows you to pull over to the left-hand lane and enjoy. Send us your suggestions for the song of the summer on Facebook, on Twitter @BBCNewsEnts, or by emailing [email protected].